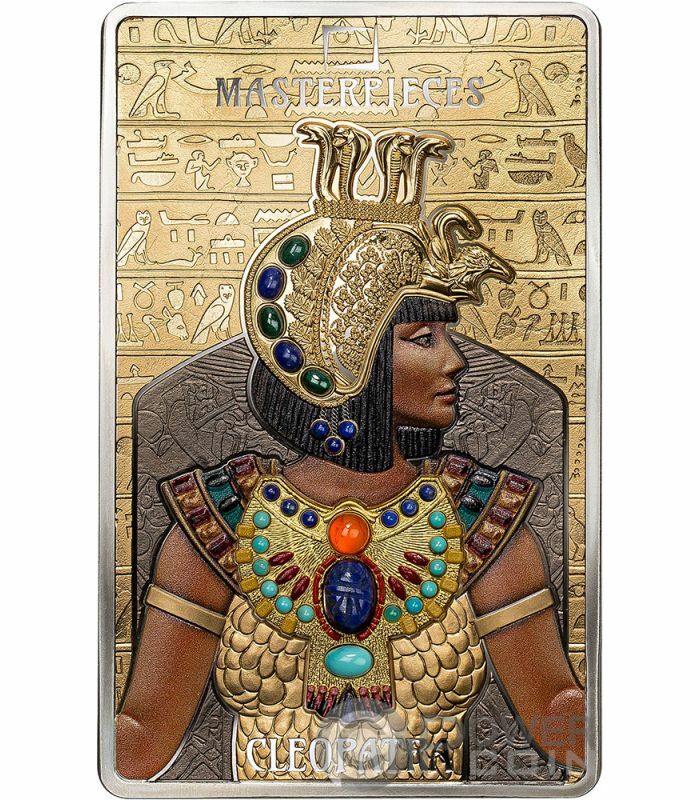 This wonderful Silver coin is the first issue from the new “Masterpieces” series and features a second Gold coin inlayed in shape of a Scarab. The coin features 29 genuine gemstone inserts, has a selective Rhodium plating, has a wonderful colouration and comes in a luxury case, along with the Certificate of Authenticity. 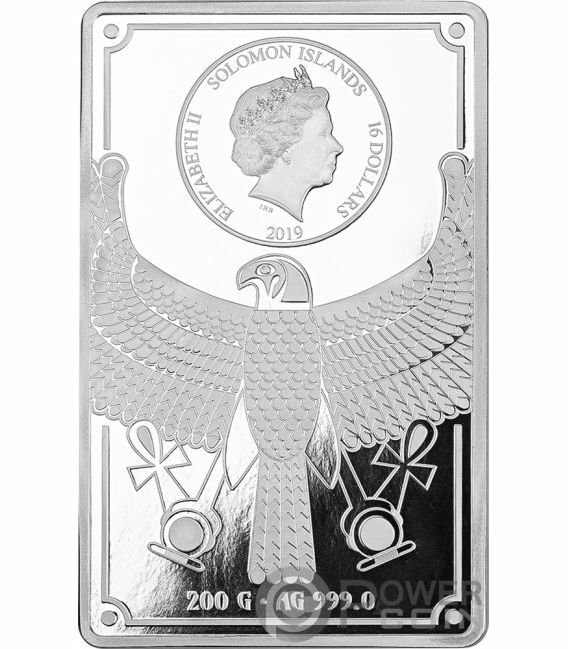 Limited mintage of 700 pieces worldwide. 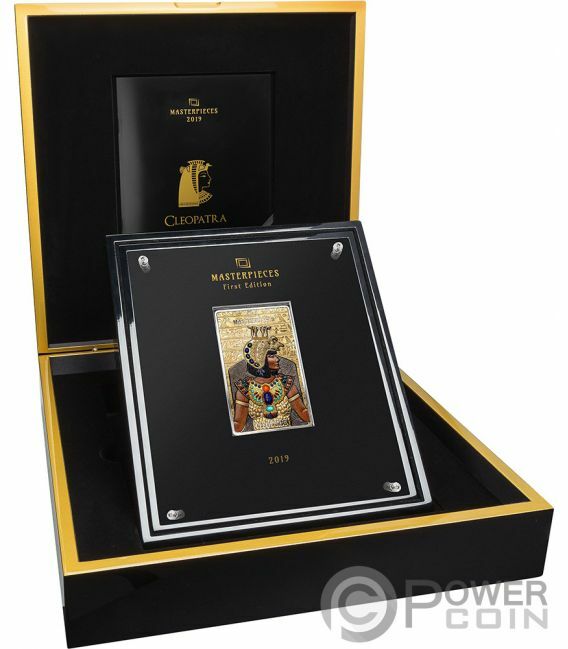 A masterpiece that every collector should have in their collection. 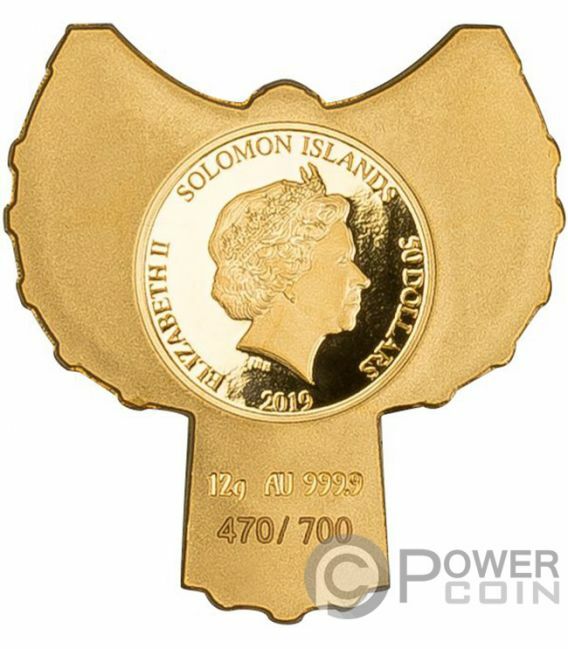 These are two real coins, one in gold, with an extremely limited circulation. Perfect for investment and to have a luxury product. 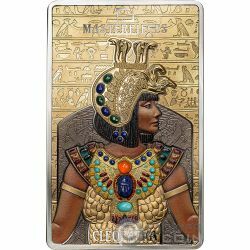 The reverse of these two coins compose a single masterpiece that features the figure of the beautiful Cleopatra, one of the most fascinating women of all time. 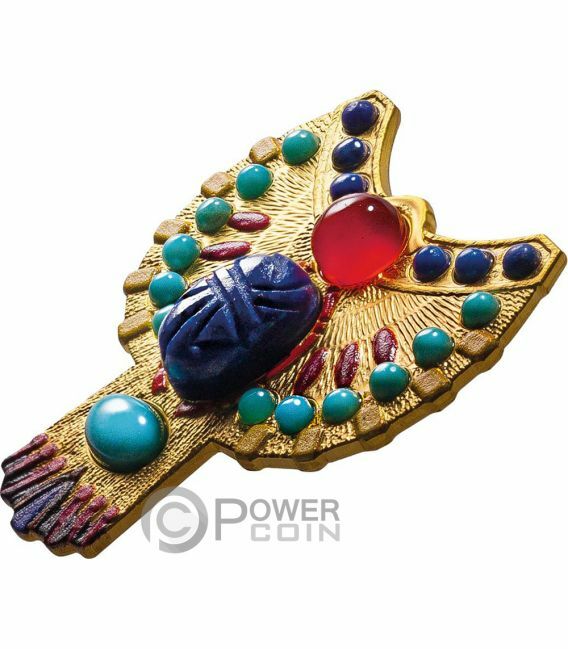 A scarab made of lapis lazuli is placed in the middle of the gold coin. 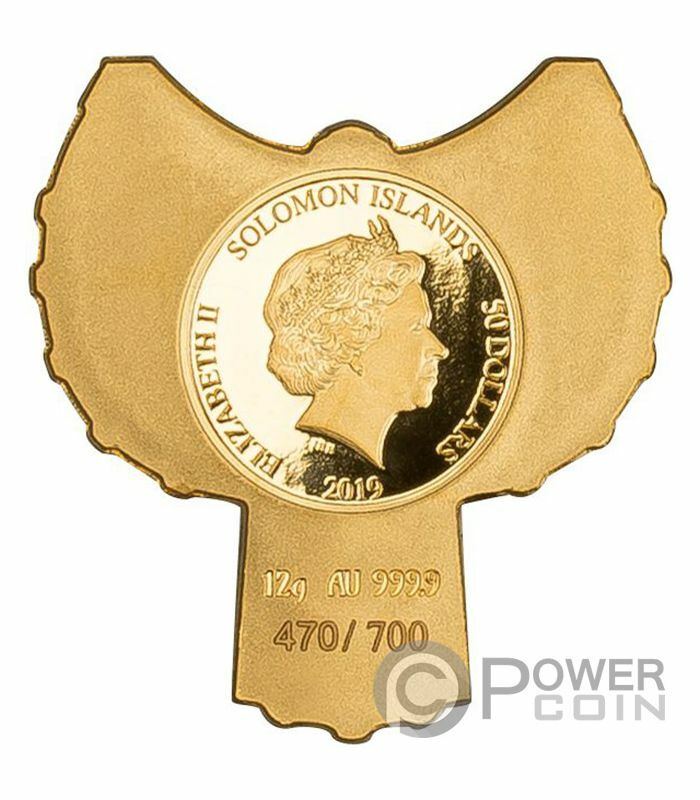 The obverse of both coins depicts the effigy of Her Majesty Queen Elizabeth II and the inscriptions: “ELIZABETH II” – the name of the Queen, “16 DOLLARS” – the face value of the Silver coin, “50 DOLLARS” – the face value of the Gold coin, “SOLOMON ISLANDS” – the issuing country and “2019” – the year of issue.